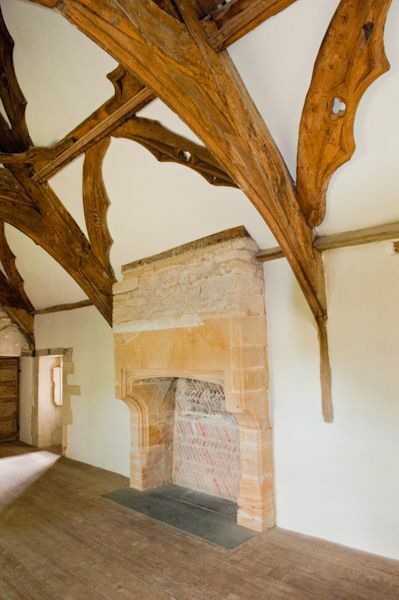 Dramatic collar beam trusses support the roof of this small medieval stone manor house. Fiddleford Manor is a lovely 14th-century house in a quiet countryside setting, boasting superb wooden roofs. 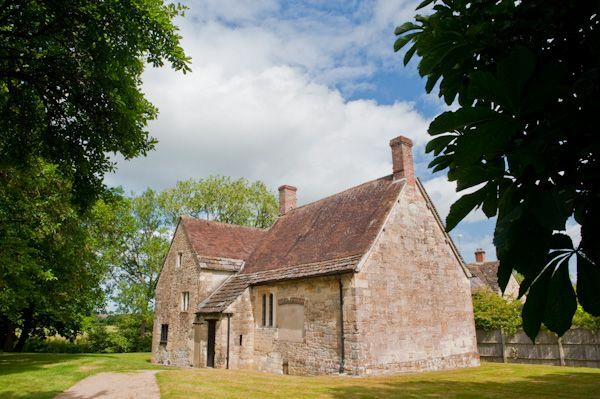 Despite the name, we do not know for certain if Fiddleford was the local manor house, or simply part of the Sturminster Newton estates owned by Glastonbury Abbey. While its origins are obscure, we do know that shortly after the Dissolution of the Monasteries the house was owned by Thomas White and his wife Ann, and is to them that we owe much of the manor that we can see today. 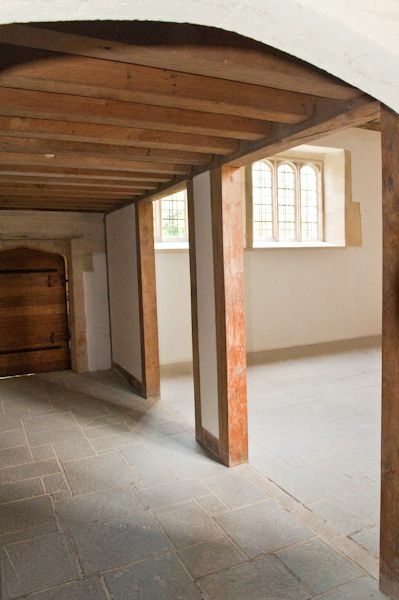 The Whites remodelled and greatly extended the 14th-century house and added several new features. Fiddleford stayed in the White family until the mid-17th century, when it was purchased by Sir Thomas Freke. It eventually passed into the Pitt-Rivers family. Over the centuries the earliest part of the house was abandoned as newer bits were added on, and eventually, the medieval portions were given into government care for preservation. Only part of the original medieval house is open to visitors, while the rest is a private residence. The original building consisted of a central hall and a two-storey chamber block at the west end. The ground floor was given over to service rooms, with a large solar, or private chamber, above. The hall and solar had wonderful timber roofs. The solar retains its roof, but the hall has been considerably altered over time. 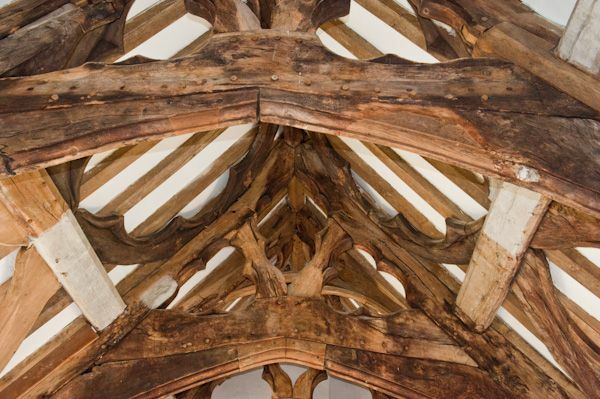 It is the roofs which are the main attraction at Fiddleford; the carving detail is superb, and it is no wonder that it has been called 'perhaps the finest roof in Dorset'. 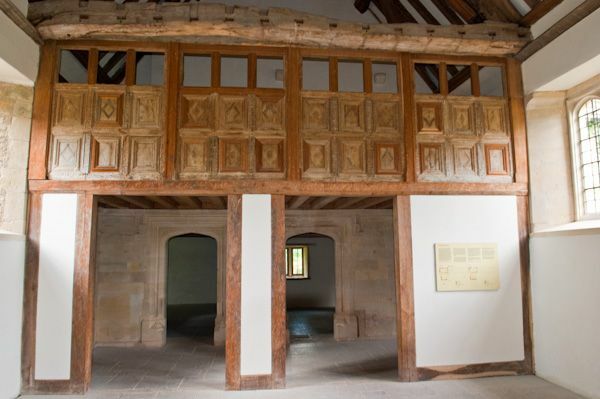 At the end of the hall is a screens passage, where you can see label stops in the form of heraldic shields, carved with the letters, T, A, and W, for Thomas and Ann White. 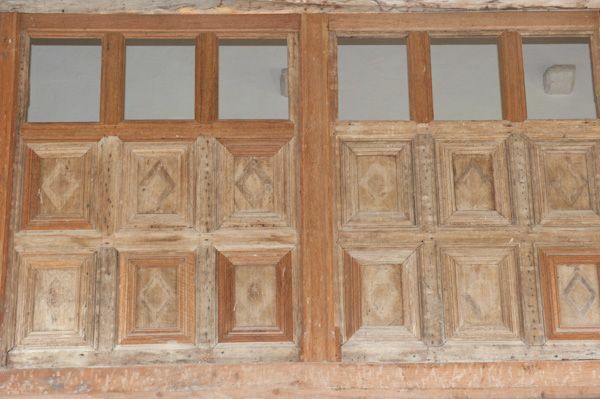 Above the screens passage, at the west end of the hall, is a wide gallery, fronted by nicely carved wooden panels. 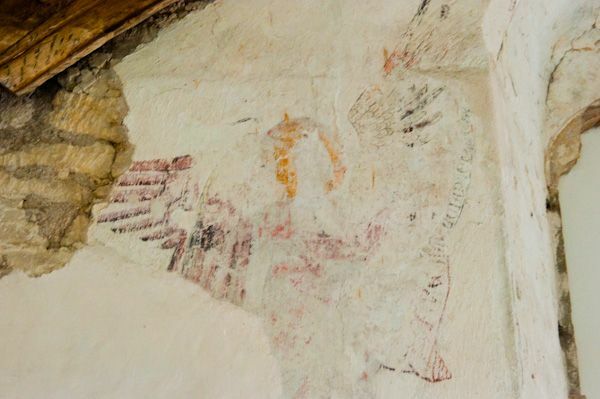 In the solar is the partial remains of a late 14th-century wall painting depicting the angel Gabriel. 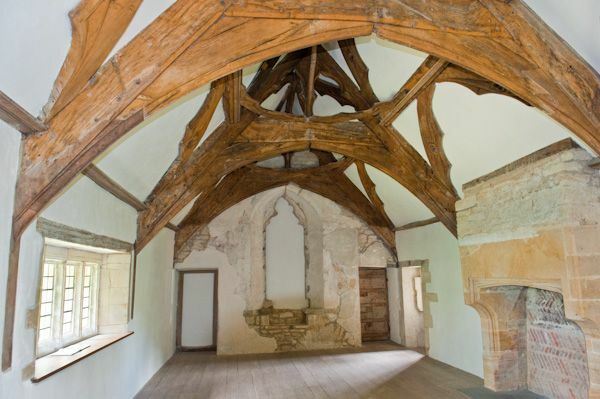 The house is not furnished, but this allows you to see the 'bones' of the building very well, and appreciate the craftsmanship of the medieval builders. The solar roof, in particular, is a wonderful example of historic architecture. The manor was not well signposted when I visited. The best way to reach it is to turn off the A357 by the inn at Fiddleford and follow the narrow lane all the way around the village until you come to a small free parking area. The manor is a short stroll from the parking area. 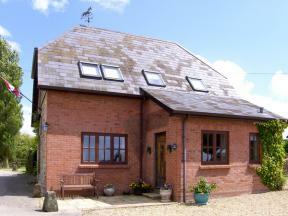 This spacious, beautifully converted barn offers light, airy and modern accommodation for up to five people whilst still retaining many of its original features.